Congratulations Nate. 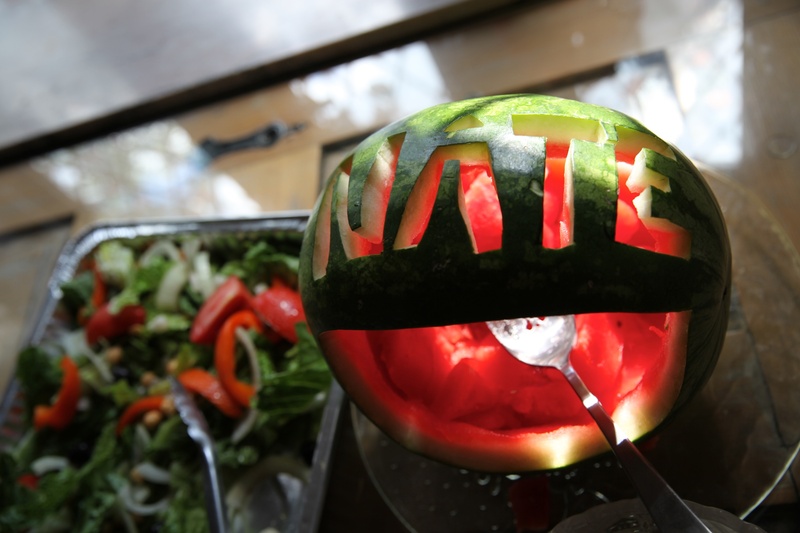 I love that someone took the time and trouble to carve the graduate’s name into the watermelon. I wish I’d gotten the artist’s name. Open Wide! Great idea, great picture.